All computers, just like any machine, tend to slow down as it gets older. As time goes by and as computer users add and download more applications, the computer becomes sluggish and very frustrating to use. If the computer is regularly used, the system takes more time to respond to a user’s action like opening files and folders, and even surfing the internet. Though these problems can be easily solved by visiting a computer shop and spend money on it, there are solutions to it by just sitting in front of the computer and doing some tricks on it. These “tricks” or procedures are very easy to understand even for those who are not so tech savvy, and thus it allows for computer users to save a lot of money. These few simple steps can help maintain and even increase system’s performance and speed, and will help the computer run smoothly as it is required. However, the methods that will be discussed require the user to be logged on as an administrator. One of the primary causes of a computer slowdown or even crashes is a computer virus and spywares. Viruses and spywares, such as Trojans and cookies, attack primarily the computer system causing the frequent freezing. To be able to resolve it, an antivirus is to be installed in the computer. There are free antivirus and antimalware software today that can be downloaded and installed to the computer for free. However, the trial versions only provides limited functions and by purchasing the full version will definitely remove all the viruses and spywares. Computer user should regularly do a run or scan every week for protection and updating the software frequently is a must so that the antivirus software is updated with new viruses and able to detect and delete it without hassles. Turning on the Windows firewall is also a big help to protect the computer system from any viruses. It helps detect and prevent malicious users and programs to attack computers. Below are the steps in turning on the Windows firewall. Right click on Local Area Connection. Put a check in the box next to Protect my computer and network by limiting or preventing access to this computer from the Internet. As users install or uninstall more applications in the computer, or even change the computer settings, these causes buildup in the computer’s system registry and creates an unstable computer functions. Using a freeware/trial versions or purchasing a registry cleaner helps increase system performance. But before doing so, a backup should be made first to prevent deleting important files and applications. However, there are registry cleaners today that provide a feature in doing automatic backups of files. It is recommended to perform a disk clean up and defragment regularly, like every few months, to prevent catching up serious damage. Freeing more spaces on the hard disk can help maintain hard drive perform to its optimal level. But before performing the process, make sure to back up all files on other computers. Here are the different steps in performing a disk cleanup. Click Start, and then click on Run. In the Open box type on cleanmgr, then click OK.
Click Start, go to All Programs, go to Accessories, go to System Tools, and then click on Disk Cleanup. Using Windows Explorer or My Computer, right-click the intended disk to free up, click on Properties, click on the General tab, and then click on Disk Cleanup. After doing a disk clean up, perform a hard drive defragmentation. Defragging helps free more space by organizing files in a contiguous manner and thus giving more efficient access on the computer system. Here are few steps to perform defragmentation. Click on Start, open My Computer, right-click on a particular disk drive (like C: or D:), click on Properties. On the Tools tab, click Defragment Now, and then click on Defragment. Click on Start, and then click Run. On the open box type on Compmgmt.msc or Dfrg.msc and click OK. A window will open then click on Defragment. Go to Control Panel, and then select Add or Remove Programs. Select any unused and unnecessary programs then click Remove. In the open box type msconfig. Select on programs intended to run during startup by checking on the box, or uncheck the box of a certain programs to stop it from running during boot-up. Go to Accessories, go to System Tools, and then click Scheduled Tasks. Add, remove, or edit any scheduled task. A beautiful and amazing computer animations and backgrounds result to a slow system performance of the computer. These visual effects and animations tend to prolong the reaction time of simple tasks, like opening a file, moving from windows to windows, and even the taskbars. It is best to turn off visual effects or adjust the appearance and performance of the windows. To turn these off, here are the steps. Click on the System icon, then click Advanced tab. Then uncheck the options related to animations and other unnecessary visual effects. It is also recommended to remove unnecessary or unused installed files on the computer to prevent slow down of the system performance. This is because every time the Windows starts, every installed fonts loads up. The more fonts installed in the computer, the slower the computer starts and loads. It is advisable to install about 300-500 fonts only to prevent system crashes. Below are the steps in removing unnecessary installed files. Click Start, and then open My Computer. Double click on Drive C, select Windows folder, and then select Fonts folder. Choose the unnecessary fonts and delete them. It is recommended to backup the fonts to prevent accidental deleting of fonts. These tips will give a big difference on the performance of the computer system. Following these steps religiously will help computers perform to its optimum level. 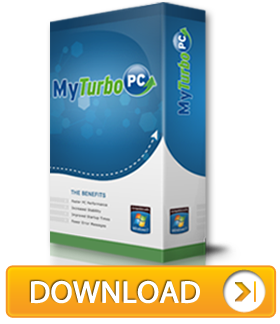 On the other hand, if these steps still give confusions, downloading the software MyTurboPC may help users to fix all these problems automatically at a simple click of a button.